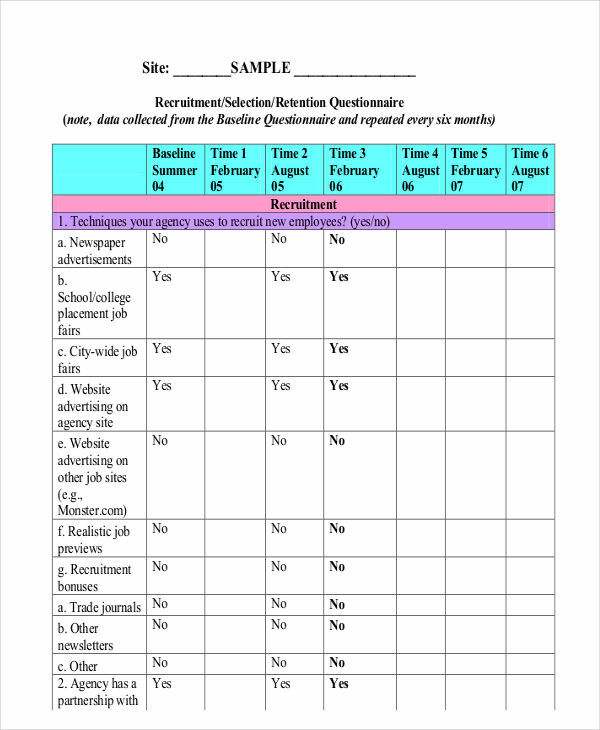 Questionnaires are tools that involve a series questions in gathering a set of data for a survey or research (usually those involving statistics). A customer satisfaction questionnaire, for example, usually gather information by asking customers of their perspective about a certain product or service. Most people may now have been familiar with the importance of questionnaires in gathering the necessary data for a survey or research. Questionnaires have been able to provide researchers the perfect tool they can use in collecting data to come up with the results of their research. 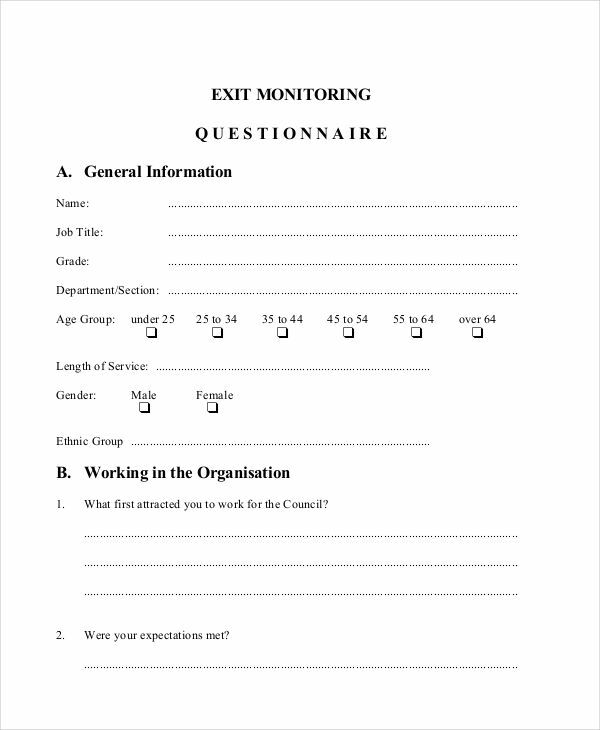 What Is an Employee Questionnaire? 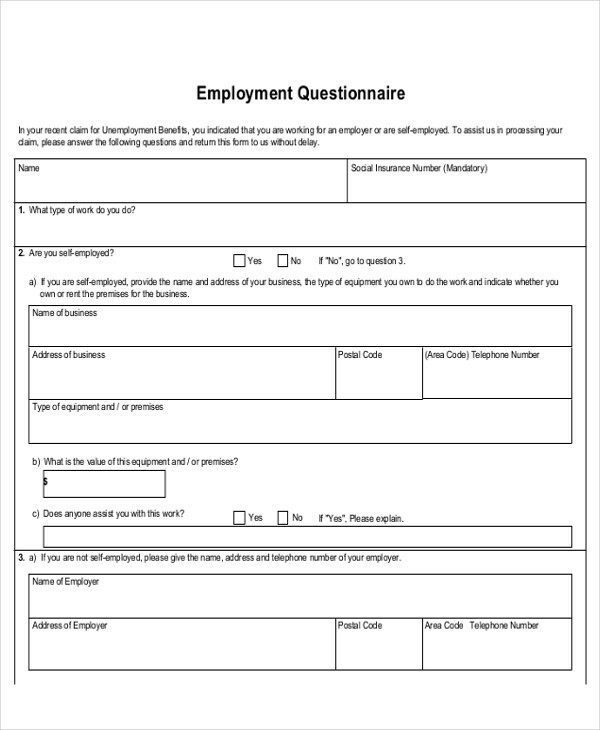 An employee questionnaire, in general, is a type of questionnaire examples devised with the intention of asking questions about certain subjects or topics to employees. Employee questionnaires often ask questions regarding employee satisfaction or client feedback with their workplace, co-workers, responsibilities, and experiences with the company they are currently working with. Questions, however, may vary depending on the office head’s decision. At times, office heads ask employees just to answer questions about specific topics just so they may be able to understand what and how their employees think. Employee questionnaires often ask the opinion of employees about specific matters. The best way to answer an employee questionnaire is to be honest. Tell them what you really think. Some people might think otherwise and write answers carelessly without thinking twice. Do not write answers for the sake of answering. The company is administering an employee questionnaire examples in PDF because they want to know what you think about certain topics, and they might need the information, so answer the questions sincerely. Also, do not hesitate to negative feedback, but try to keep it professional. Creating an employee questionnaire for employees can be tough at first. 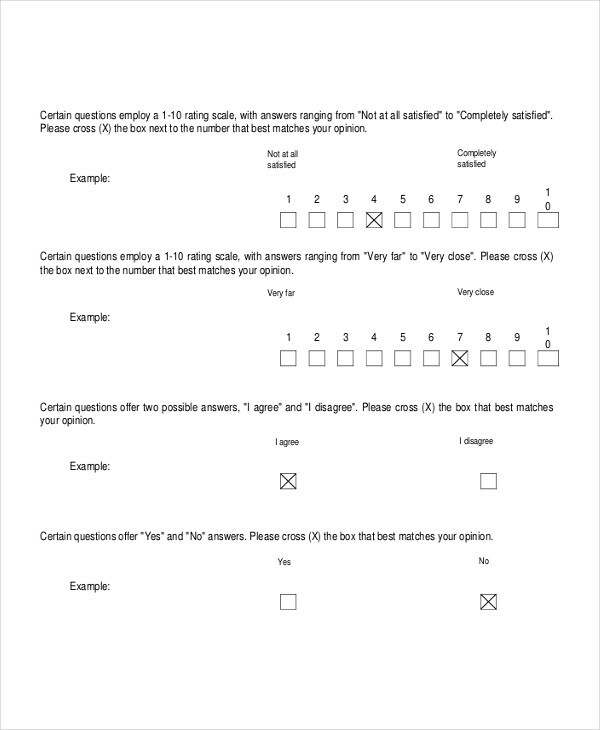 But soon enough, you’ll be able to get the hang of it, especially when you observe different questionnaire examples. Goals or targets. Identify what you want to accomplish in administering an employee assessment questionnaire. As mentioned earlier, most employee questionnaires are administered to ask for employee feedback about their whole experience in working with the company. Questions. Make a list of questions to ask your employees. There are different types of questions you can use in your questionnaire (e.g. open ended questions, close-ended questions, etc.). Categorize them in order to keep them organized. Sensitive questions may be asked at the last part of the questionnaire. Method of administration. Determine how you’d like to administer your questionnaire. There are different ways to administer a questionnaire: through mail or electronic mail, through phone conversation, or one-on-one contact. Questionnaire length. Questionnaires can be one or two pages, depending on the number of questions you want to ask. However, questionnaires don’t have to be long, as your employees might find it a hassle especially when they still need to work. Revision. As I always say, one needs to revise everything one writes. This is usually to ensure that no errors were left undetected, and that necessary improvements can be made.